This soft woodland scene with clouds that disappear into the 12’ beamed ceiling, was designed to compliment the private retreat feel of the built-in beds. 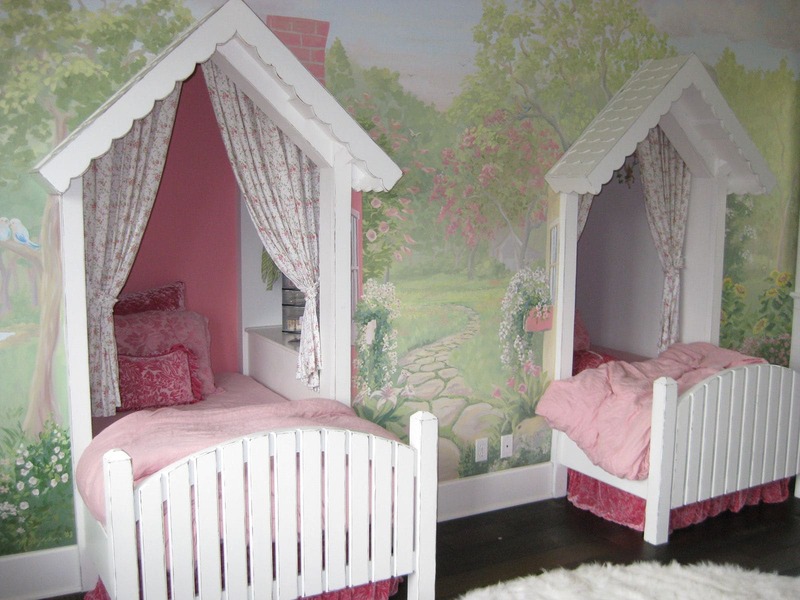 Now the sisters can feel like they each have their own space, cozied up in their distinct cottages. 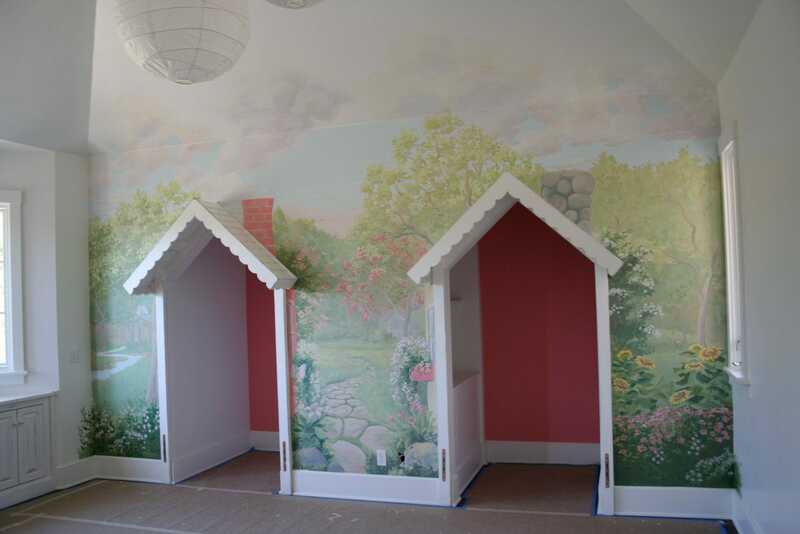 This mural was hand painted for my nieces, with their initials “carved” in the stones next to each of their beds.